Lets admit it I'm a terrible writer, you already know that, so I don't need to go into details. 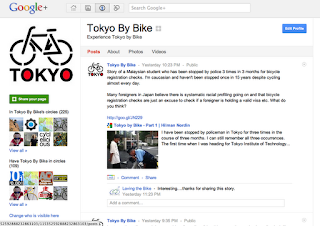 So in order to get you more of the cycling news and information that you want from Tokyo and Japan, without being subjected to my abysmal writing, Tokyo By Bike is available on Google+, Facebook and Twitter. I've primarily been using Twitter to quickly distribute interesting articles as I find them, Google+ and Facebook for when I want to pass some comment on the article that Twitter's 140 character limit does not allow. 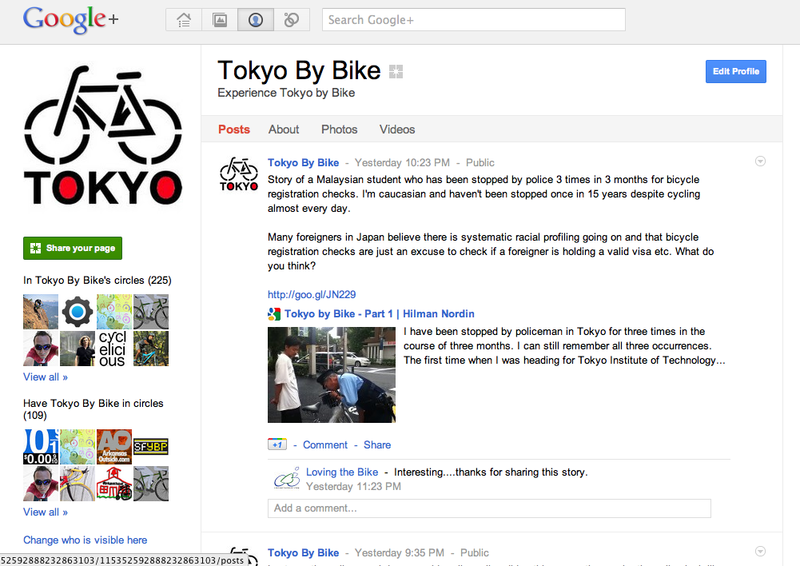 I write on the blog when I've come up with something original that I'd like to share. As writing for the blog hurts my tiny brain, the Google+, Facebook and Twitter feeds have much more content than appears on this blog, so if you're a user of any of those services please do check them out.